It’s that time of year when the weather is heating up and vacation days are at their peak. Whether globe-trotting with the family, friends or just looking for a little solo time away from the grind, many people are choosing to spend their days off sightseeing by bike. And for those without time or resources to lug a bicycle and gear across the country, biking tours are becoming an increasingly popular way to spend a holiday. Raleigh’s own Brian “Sally” Fornes shared his thoughts on what it takes to work in bike marketing. For July, we have another bike-tastic job for you to consider. It involves travel, the open road, fantastic scenery and, of course, the occasional mishap. Portland-based bicycle guide Matt Barney shares his take on the ultimate gig as bike tour guide, and how to find out if it’s right for you. Before discovering the world of cycling, Matt served in the military with the U.S. Coast Guard, was a business consultant turned corporate worker, only to ditch the suit and tie to work as a pedicab driver. 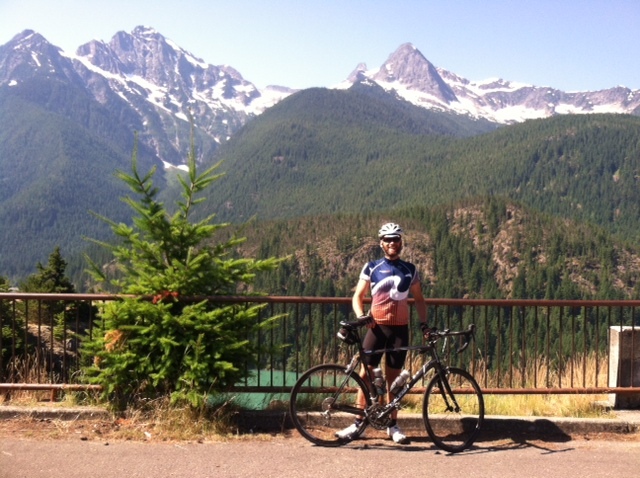 After becoming enamored with the Seattle-area, Matt began working for Bicycle Adventures where he currently serves as a bike tour guide. Can you handle working 24-7 for weeks at a time in some of the most beautiful places in the country? Find out after the fold. Looking for a new ride for your next big trip? Talk to your local expert to find out which Raleigh can take you there. Matt Barney on the job. Photo courtesy of Bicycle Adventures. According to Matt, “Despite the standard protocol, no one day is the same.” Tour guides must expect the unexpected, whether that comes in the form of a torrential downpour halfway through the day’s ride, or a lost client who wandered off (it happens, but not on Matt’s tours!). Keeping your head on a swivel and knowing that the needs of the group come first are key to getting through your atypical day. Once you hit the road, there’s always something that needs handling. Making sure the group has enough water and food, checking tire pressure, gassing support vans, washing dishes from lunch, fixing bikes if need be, reorganizing for the next day’s lunch, and the list goes on...“If we're lucky we get a five minute shower and quick phone call home,” Matt remarks. 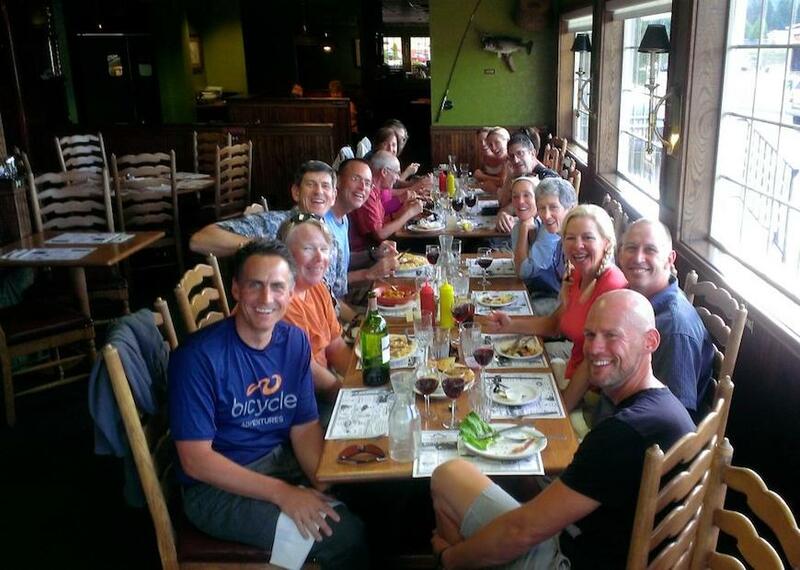 According to Matt, at Bicycle Adventures they eat, and eat well. “Dinners are some of the highlights for me. One of my favorites is out on the Oregon Coast, I don't recall the place now, but BACON BUTTER SCOTCH ICE CREAM!” When racking up all those miles and burned calories, indulging in the finest of foods can be a sweet perk to any tour guide after a long day on the job. When asked about the down sides to guiding that you may not find in other bike related fields, Matt affirms that time away from significant others is probably down side number one. If you’re attached, he suggests asking yourself if your relationship is strong enough to handle the time away (often weeks at a time), and time away in areas where there is no cell coverage or Internet. If you land a job as a bike tour guide, it’s pretty much guaranteed that your “office” will boast some of the best views this country has to offer. 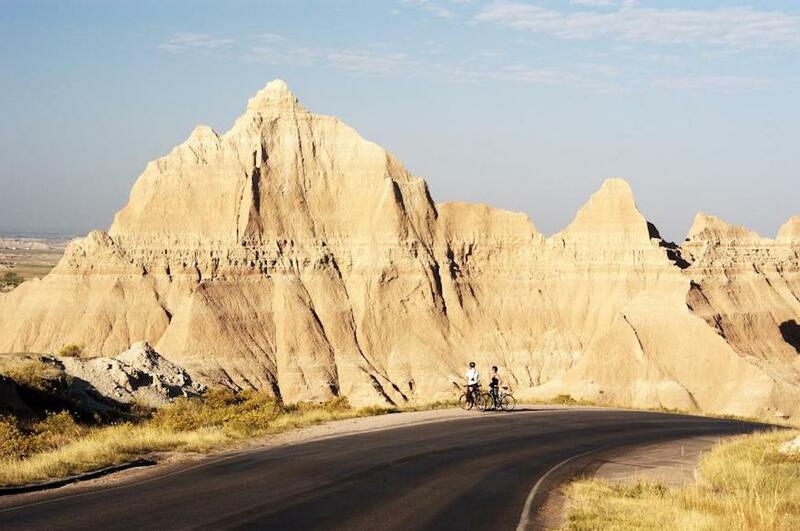 Matt’s favorite destination to guide is South Dakota through The Badlands. “Where else can you ride a bike through the vast countryside into a national park where you have to watch out for antelope and wild buffalo?” And apparently the riding is both fun and challenging, with some days consisting of more than 6,000 feet of elevation gain.